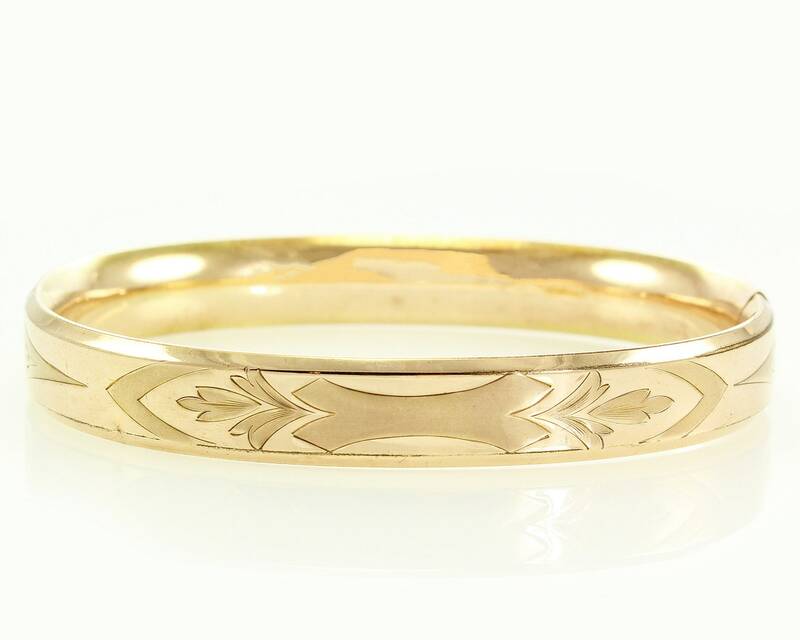 Antique Victorian Engraved Hinged Oversized 7.5 inch Bangle Bracelet of 1/20 10K Rose Gold. 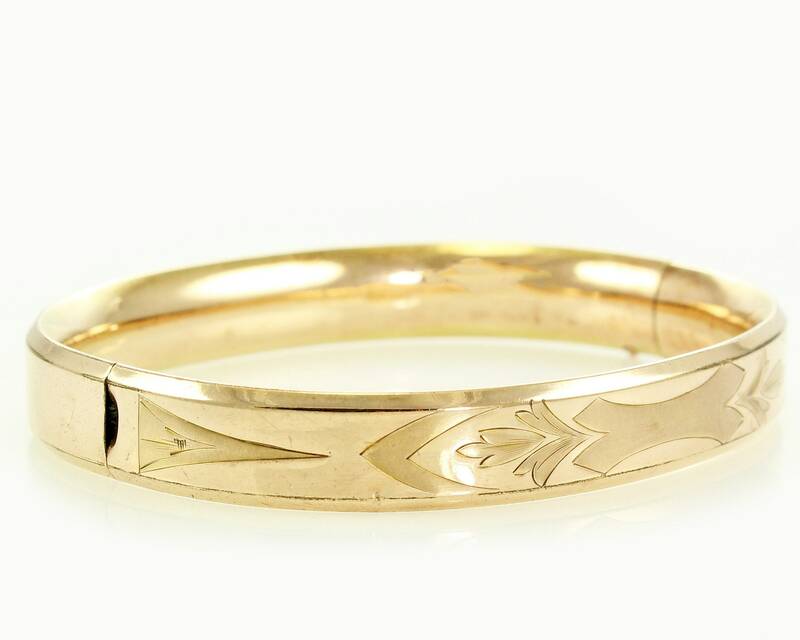 This pretty bracelet has an engravable blank cartouche flanked by foliate flourishes on the front and a plain back. Finished with tab clasp and push button opening mechanism. Measures 7/16" wide and 7.5" in inner circumference. 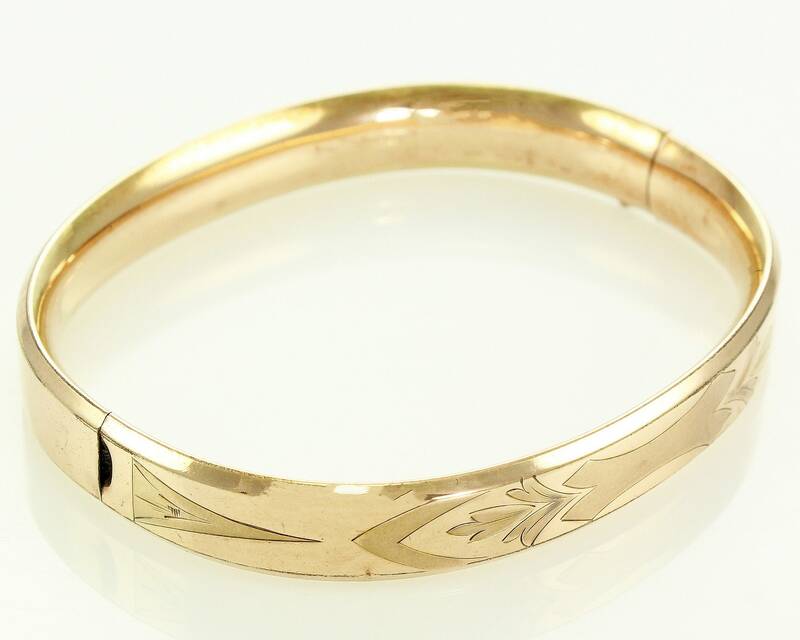 Marked on the inner back 1/20 FMCo., indicating the bracelet is 1/20 10K rose gold filled and was made by the Finberg Manufacturing Company of Attleboro, Massachusetts. 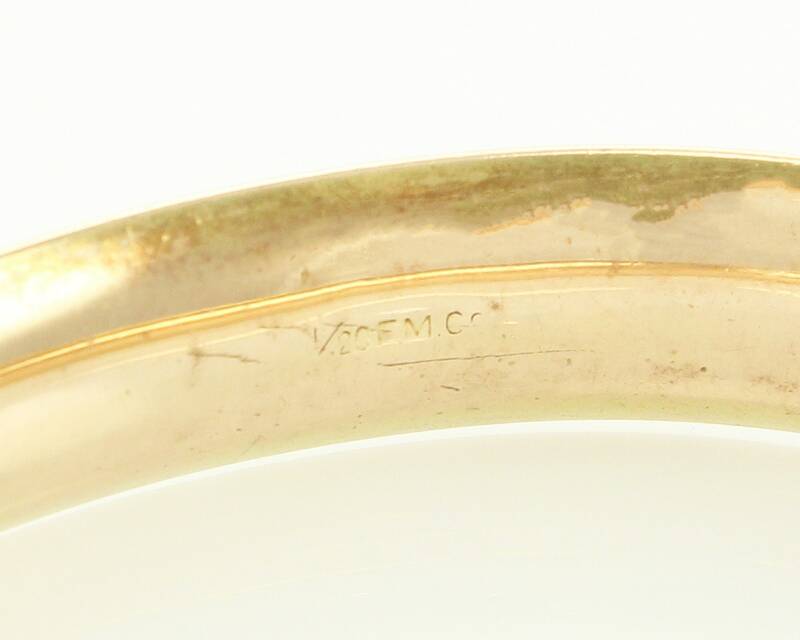 HALLMARKS/HISTORY: Marked on the inner back 1/20 FMCo., indicating the bracelet is 1/20 10K rose gold filled and was made by the Finberg Manufacturing Company of Attleboro, Massachusetts, which operated from about 1905 through the 1930s. 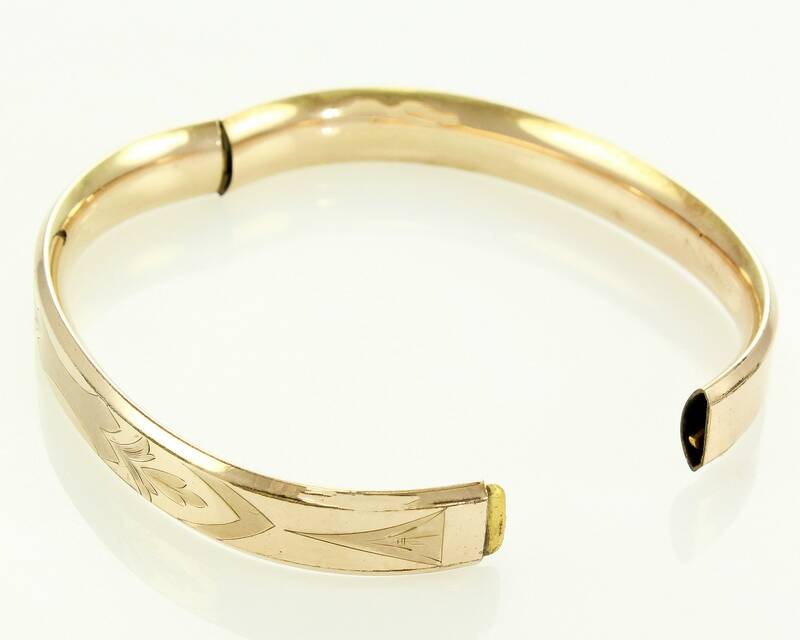 CONDITION: Very Good Vintage Condition with a shiny finish and some dents, including a noticeable one at the hinge. SIZE/MEASUREMENTS: 7/16 inch wide, with inner circumference of 7.5 inches.